Will the UN be a Fairy Godmother for the Birth of South Sudan? 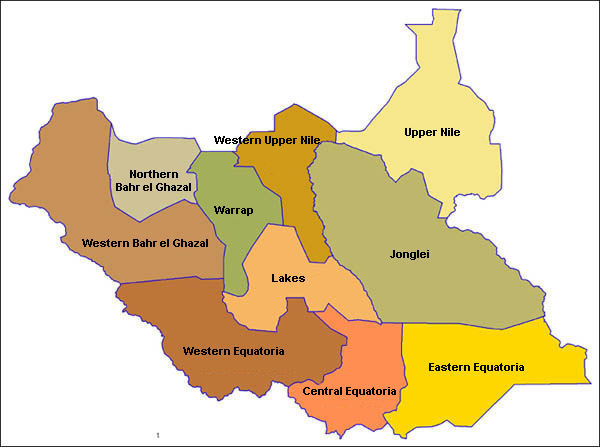 On July 9, 2011, South Sudan became an independent State, six months after the January referendum in which the south Sudan population voted overwhelmingly for independence. However, Sudan is not really structured to be divided in two. There are no natural dividing lines, neither physical nor social. During much of the English colonial period, southern Sudan was administered from Uganda as road communications were easier than from Khartoum, the capital in the north of the country. In fact, ‘administered’ is too strong a term. South Sudan had no real crops for export or minerals to mine, and so there was very little administration. In place of any government development activities, the Colonial Office encouraged Christian missionaries, mostly Church of England and Roman Catholic to set up schools and clinics. Thus south Sudan was ‘Christianized’ in that the educated had gone to church schools and been treated in Christian clinics. However, most people continued also to practice traditional rituals as these were considered as part of tribal life and not as the rituals of a particular religion. Thus when considering Sudan, the often-used terms of ‘Muslim’, ‘Christian’, and ‘Animist’ cover a more complex reality. 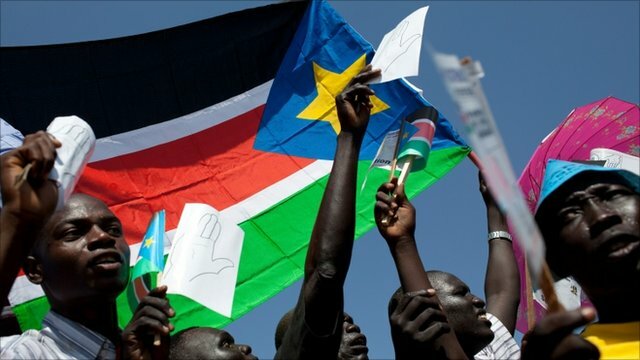 In December 2010, no less than 98.83% of South Sudanese voters chose independence at the polls. Complexity is a term which is true for all Sudanese life — political, economic, and geographic. The failure to deal creatively with complexity has led to fighting for nearly all of its history as an independent State since 1956. On the eve of Independence, with the makeup of a new national army being the spark which set the fire, civil war broke out, basically on a North-South basis. There have been two phases to the Sudan Civil War. The first phase (1954-1972) had ended with negotiations facilitated by the All-African Conference of Churches with back up help from the World Council of Churches in Geneva. The 1972-1982 decade was one of relative peace, but it was not used to heal the divisions or to work out forms of government, administration, and legal systems that would be acceptable to all segments of Sudanese society. International attention on Sudan had diminished once the 1972 peace agreement was signed. The warning signals that all was not well were ignored internationally. Thus in 1982, southern soldiers who had been integrated into the national army revolted, and the second phase of the civil war continued from 1983 until the end of 2004. As a North-South peace agreement was nearly set, groups in Darfur, western Sudan, who had not been part of the North-South conflict decided that violence was the only way to get attention and to get a ‘piece of the pie’ of the natural resources, especially the oil revenue. They hoped for a short war after which they would be invited to participate in the North-South negotiations. In practice, the Darfur conflict has not been short — starting in 2003 and continuing still today, and the Darfur factions have not been invited to the North-South negotiations. The flag of the Republic of South Sudan, originally the flag of the Sudanese People's Army/Movement (SPLAM). Darfur (the home of the Fur) was always marginal to the politics of modern Sudan. In the 19th century, Darfur, about the size of France, was an independent Sultanate loosely related to the Ottoman Empire. It was on a major trade route from West Africa to Egypt and so populations from what is now northern Nigeria, Niger, Mali and Chad joined the older ethnic groups of the area: the Fur, Masalit, Zaghawa and the Birgit. Nomads from Libya also moved south into Darfur. As the population density was low, a style of life with mutual interaction between pastoral herdsmen and settled agriculturalists with some livestock developed. Increasingly, however, there was ever-greater competition for water and forage made scarce by environmental degradation and the spread of the desert. France and England left Darfur as a buffer zone between the French colonial holdings — what is now Chad — and the Anglo-Egyptian controlled Sudan. French-English rivalry in West Africa had nearly led earlier to a war — the Fashoda crisis of 1898. Thus a desert buffer was of more use than its low agricultural and livestock production would provide to either European colonial power. It was only in 1916 during the First World War when French-English colonial rivalry in Africa paled in front of the common German enemy that the English annexed Darfur to the Sudan without asking anyone in Darfur or the Sudan if such a ‘marriage’ was desirable. Darfur continued its existence as an environmentally fragile area of Sudan. It was marginal in economics but largely self-sufficient. Once Sudan was granted its independence in 1956, Darfur became politically as well as economically marginal. Darfur’s people have received less education, less health care, less development assistance and fewer government posts than any other region. The seal of the government of the new sovereign nation. In 2000, Darfur’s political leadership had met and wrote the Black Book which detailed the region’s systematic under-representation in national government since independence. However, at the level of the central government, the Black Book led to no steps to increase the political and economic position of Darfur. This lack of reaction convinced some in Darfur that only violent action would bring recognition and compromise as the war with the South had done. An armed insurgency began in 2003 led by the more secular but tribal Sudan Liberation Army (SLA) and the Islamist-leaning Justice and Equality Movement (JEM). Since then, there have been splits in the JEM and the SLA largely along tribal lines. These splits make negotiations with the government of Sudan all the more difficult. The interests of many people in Darfur are not represented by either the government or the insurgencies, but it is nearly impossible for other voices to be heard. In Darfur, there is a joint African Union-UN peacekeeping mission (UNAMID), but there is no peace to keep. Although the peacekeeping force has a mission to protect populations, it is unable to do so. As Mohammed Otham noted in his UN report (A/HRC/14/41) “In Darfur, notwithstanding the general improvement in the security situation, banditry, criminal activities and intermittent military activities by the parties to the conflict have continued. In some areas, aerial bombardment and troop mobilization by the Sudanese Armed Forces have been reported. In the context of this ongoing violence, United Nations and humanitarian personnel face significant risks to their lives. A significant number of UNAMID and humanitarian staff were deliberately attacked; some were abducted and held in captivity for long periods.” The level of suffering in Darfur — people killed and displaced, the agricultural infrastructure destroyed — has been very high. The reconciliation and reconstruction of Darfur will be difficult. We must be on the lookout for possibilities to help. This is what the new country will look like in political and administrative terms. The AWC wishes South Sudan well and looks forward to working with its government toward the protection and promotion of world law. The UN has had Special Representatives in Darfur responsible for facilitating negotiations, but they have made little progress. Darfur will continue as part of North Sudan and should be a priority of concern. As there are no sharp natural or cultural dividing lines between North and South Sudan, there will be non-Muslim populations left in the North and Muslim populations in the South. We must hope that there will not be the massive transfer of populations as at the independence of India and Pakistan. There are possibilities of continued conflict in the northern non-Muslim areas such as the Blue Nile and Southern Kordofan provinces. There is also a mixed population on the frontier between North and South in Abyei. It is less the fact that the population is mixed than that the area is oil-rich that has attracted international attention. The UN Security Council in resolution 1990 of 29 June 2011 decided to establish the UN Interim Security Force for Abyei (UNISFA). Thus, the United Nations is present as the Fairy Godmother at the birth of South Sudan. As in the folk tales, the Fairy Godmother has some presents for the newly born as well as certain conditions and demands. The UN brings few material goods, and peacekeeping forces have been largely unable to bring peace. However, the UN has brought the present of world attention, a willingness to help and high international standards to meet. We will have to watch closely as the newborn grows.